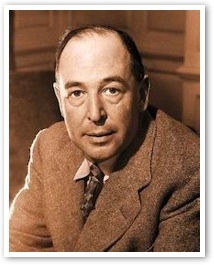 Mere Christianity is a collection of wartime radio talks given by C. S. Lewis between 1942 and 1944. Lewis makes the case for Christianity by describing its universal and foundational principles. He presents his case as an objective observer and uses logic to find truth. It is divided into four books. People know basic right from wrong (the Law of Nature) because it is natural to them; and man was born with the Law written on his heart (italicized comment mine). Different civilizations have understood the Law of Nature because people expect to be treated decently by others and "we feel the Rule of Law pressing on us so -- that we cannot bear to face the fact that we are breaking it, and consequently we try to shift the responsibility (blame others for our bad behavior)." First, that human beings . . . have this curious idea that they ought to behave in a certain way, and cannot really get rid of it. Secondly, that they do not in fact behave in that way. They know the Law of Nature; they break it. The reality and dilemma are that man knows he must behave as a moral being, but he does not do so. Lewis examines the Law. He presents two basic beliefs: a materialistic (evolutionary) view that says everything just was and nobody understands why, and the other is religious, which says the universe was made by something like "a mind" - something with consciousness, purpose, and preferences. Again, man knows he is under a moral law. We know this because we are human beings who feel this influence within our selves. We have a moral conscience that urges us to do right and makes us guilty when we do wrong. If the universe is not governed by an absolute goodness, then all our efforts are in the long run hopeless. But if it is, then we are making our selves enemies to that goodness every day . . . and so our case is hopeless again. Man's situation is desperate, and the remedy is Christianity, explains Lewis. [Christianity] "offer[s] an explanation of how we got into our present state of both hating goodness and loving it. [It] offer[s] an explanation of how God can be this impersonal mind at the back of the Moral Law and yet also a Person. [It] tell[s] you how the demands of this law, which you and I cannot meet, have been met on our behalf, [and] how God Himself becomes a man to save man from the disapproval of God. Christians believe in [a] God who created the universe and everything in it, though He is also separate from the universe. God is good, and those things that are bad are "contrary to His will." Next, Lewis introduces "Christianity-and-water," (what I call "watered-down Christianity"). Watered-down Christianity focuses on the easy and good truths, and "leaves out difficult and terrible doctrines about sin and hell and the devil, and . . . redemption." God gave man free will - though free will is what makes evil possible - but it is also the only thing that makes any love, goodness, or joy worth having. Meanwhile, man cannot be happy apart from God. "He . . . is the food our spirits were designed to feed on." Lewis demonstrates that Jesus claimed to be God; that He always existed; that He forgives sins: and that He is coming to judge the world at the end of time. You must make your choice. But let us not come with any patronising nonsense about [Jesus] being a great human teacher. He has not left that open to us. He did not intend to. Next, Lewis deals with the question: What was the purpose for Jesus' coming? The short answer: The central Christian belief is that Christ's death (and resurrection) allows man to be at peace with God. I remind my children that the Christmas story about the birth of Jesus was not so there would be peace between men on earth - like so many misinterpret - rather, the angel proclaimed that Jesus brought peace between God and man, to all who obey Him. Lewis explains that if God became man (Jesus), "He could surrender His will, and suffer and die, because He was man; and He could do it perfectly because He was God." The conclusion of His work (on the cross) means a new life for man. There are two different people in the world: the one who does not believe, but is trying to be good in hopes of appeasing God, if He exists (in one's mind), or at least to receive approval from man (if they do not believe in God); and the other, a Christian, who knows any good he does comes from the Christ-life (God's spirit) that lives inside of him. Next, Lewis describes morality as something that interferes and prevents us from enjoying [our natural inclinations]. Morality is important for justice and peace between individuals; balancing out our inner thoughts and ideas; and working out our general purposes in life. There are seven virtues. The first four, most civilized people agree on: prudence (common sense), temperance (self-control), justice (honesty), and fortitude (courage). He talks about the last three later. Lewis explains that God focuses on the heart-attitude of a virtue rather than the behavior of a virtue. He said, "the truth is that right actions done for the wrong reason do not help to build the internal quality or character called a virtue, and it is this quality or character that really matters." In other words, it is not enough to just obey; obedience is not only for this world. The heart must change completely, for good and forever. Lewis reiterates that The Golden Rule is what every man/philosophy/civilization/religion has always known to be true - again, because the Law (says God) has been written (preprogrammed) on their hearts. I may repeat 'Do as you would be done by' till I am black in the face, but I cannot really carry it out till I love my neighbor as myself: and I cannot learn to love my neighbor as myself till I learn to love God: and I cannot learn to love God except by learning to obey Him. "Human beings judge one another by their external actions; God judges them by their moral choices." When a Christian grows, he understand more and more clearly the evil that is still left in him. Under the virtue of temperance, Lewis expounds on charity, which includes loving our neighbor. The key to loving our neighbor is having a desire to believe all the good you can of others and to put their needs before your own. Regarding the excellent chapter on marriage, Lewis demonstrates that "being in love" is temporary, and should be taught as such. Being in love (which is only a feeling) does not last forever, and when it is gone, then what? Being in love is good, but it is not the most important; but "ceasing to be in love does not mean ceasing to love." [Love] is a deep unity, reinforced by (in Christian marriages) the grace which both partners ask, and receive, from God. They can have this love for each other even at those moments when they do not like each other; as you love yourself even when you do not like yourself. Being in love first moved them to promise fidelity: this quieter love enables them to keep the promise. Lewis said his self-love makes him think himself nice, and that is why he loves himself. But when he does things he hates, he does not cease loving himself. When he applies this to loving his neighbor, he remembers he does not have to like everything his neighbor does, but he may still wish him well and good. That is what the Bible means about loving and forgiving our neighbor. Of pride, the author says this vice leads to every other vice. "It is the complete anti-God state of mind." Pride is what makes us feel more important than all others. Pride means you are at war with man and God. It is "spiritual cancer: it eats up the very possibility of love, or contentment, or even common sense." Lewis warns: if you cannot admit you are conceited, that means you are "very conceited indeed." It would be best if you would forget yourself, though that is not an easy to do. More on that later. The final three virtues are faith, hope, and charity. Returning to charity, Lewis describes it as Christian love. He ties in the love we have for ourselves and reminds us that it means we always wish for our own good, even when we do not like ourselves. Again, the secret to loving others is to forget trying to figure out if you love your neighbor: act as if you did. The difference between a worldly man and a Christian is this: worldly man demonstrates affections for others depending on how they like them, whereas a Christian has only charity, treating all people with kindness. Feelings are not what concern God, as much as obedience (which is directly connected with a heart attitude). Treating someone as if you loved them will ultimately lead to a heart change. If we aim to do God's will, obeying His Laws, God will change our hearts, if He pleases. It is not our power to control our feelings, nor should we demand them as our right. Lewis describes hope as a continual looking forward to the eternal world - God's promise to us. And Lewis calls faith belief, which is "holding on to thoughts your reason has once accepted, despite your changing moods." That is why Christians must daily pray and read Scripture, and go to Church to be reminded of what they believe. A Christian recognizes that he cannot meet God's standards, no matter how much he tries. There is a change from being assured of his own efforts to leaving it to God. It means, trusting Him without worry. It means not being obedient in order to be saved, but "because he has begun to save you already." In this last book, Lewis talks about theology. He calls theology a map, and we must use it to make it work. Lewis talks about the word "beget," which means "comes from." Christ is the Son of God 'begotten, not created, . . . begotten by his Father.' "What God begets is God; what man begets is man." Christ is God, but man is created by God. Then Lewis explains that man's purpose is to be "taken into the life of God." Lewis compared the three persons of God to a cube. Just as there are six squares that make up one cube, there are three persons that make one Being. God is the thing to which [man] is praying - he is trying to reach (God the Father). God is also the things inside him which is pushing him on - the motive power (the Holy Spirit). God is also the road or bridge along which he is being pushed to that goal (God the Son). So the whole threefold life of the three-personal Being is actually going on . . . in an ordinary man . . . saying his prayers. The Son exists because the Father exists. The third Person of God is the Holy Spirit, which is the corporate behavior of God, which is what resides inside a person once he believes. We are not begotten by God, we are only made by Him: in our natural state we are not sons of God . . . that we can . . . come to share in the life of Christ. If we do, we shall then be sharing a life which is begotten, not made, which always has existed and always will exist. If we share in this kind of life we also shall be sons of God. We shall love the Father as He does and the Holy Ghost will arise in us. [Jesus] came to this world and became a man in order to spread to other men the kind of life He has. Like I said before, I think, Lewis said, giving your whole self - your desires, your loves, even the things you hate about yourself - to God is difficult, almost impossible. We love our personal happiness, and we want to let our own mind have its own way. Nonetheless, we cannot be perfect, and the only help God offers us is to help us become perfect, His way. Those who let Him change them will be made perfect, though not entirely in this life. The more man tries to live on his own, without Him, the more he is controlled by his natural desires, which will ultimately result in his ruin. This is totally long, I know, and I do not blame anyone for skipping it, unless you are unreservedly interested in my interpretation of this work. I absolutely enjoyed it so much that I could not cut down my notes. I wanted to share as much of it as I could. It is just amazing how someone can take a difficult, complex, unpopular topic and make it easy and pleasant to read and comprehend. He explained the Trinity simply enough, which I have struggled to understand and explain since I have become a Christian. And I am so grateful. 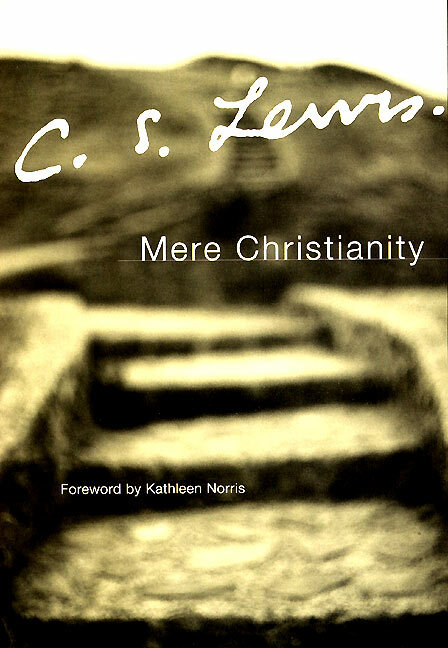 I loved everything about Mere Christianity. Thank you, C.S. Lewis. Yep, this is a big favorite of mine. I'm forever quoting it at people (well, mangling quotations from it, anyway). And I need to read more from him (which I am reading The Great Divorce next time). I also love The Great Divorce!! My mistake - I'm reading the Screwtape Letters next. One of my favourite books! You think your notes are long? You should see mine! I ran out of space and had to tape extra paper with typewritten notes to the chapters. You've reminded me that I really need to revisit it soon. Meaning: it was long for me, like your Histories was in depth for you. Oops, did you not write a review on your blog of Mere Christianity? I believe it is fairly commonly accepted that Lewis was a brilliant man. We usually think of "brilliant" as understanding complex things; personally I think that's just knowledge/intelligence. Lewis' brilliance is the ability to take a complex and sensitive subject and make it accessible for less brilliant souls (like me), without dumbing it down. I think anyone/everyone who claims a form of Christianity (I know that's a big umbrella) would benefit from reading this. Those who don't? Well, I think they'd benefit as well. Yes, well said. I think you nailed it.